Expectation vs Reality: That “I Woke Up Like This” Moment! There are days when we wake up feeling absolutely fabulous, we're sure that we look like one of those pretty Greek goddesses. But these oh-so-high expectations fall flat as soon as we look into a mirror and get a closer look at the reality! The gap between our expectations and reality gets a bit too wide when it comes to how we think we look when we wake up! This video perfectly depicts the reality, but in a funny way! 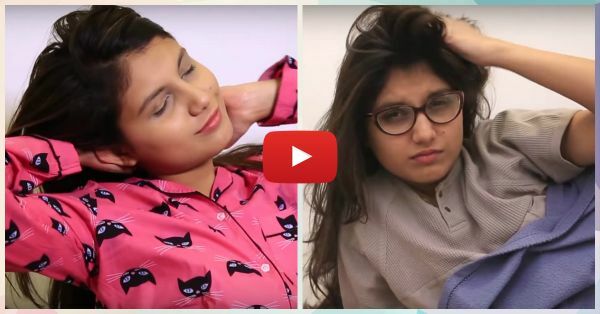 Watch it to get a reality check, on how you actually look when you wake up! Also watch: Excuses Us Girls Make When We’re Running Late… #TrueStory! Watch This Video Now! PLUS: Subscribe to POPxo on YouTube for original videos + our favourite videos from around the web!